This article discusses the problem of making practical use of research on entrepreneurship. The introduction deals with the general problem of different goals and knowledge interests on the part of researchers and practitioners, and how the differences can be bridged. Regarding entrepreneurship research specifically, it is argued in the following section that there are numerous indications that such research does 'Nothing much, really' for business and policy practice. The suggested reason is partly an inability of researchers to address the most relevant issues and to present their findings in a form and place that reach practitioners. However, the inherent difficulties of the researcher's task, as well as shortcomings on the receiver side are also to blame. In the next section it is suggested that entrepreneurship research can actually do 'A lot of harm' for business and policy practice. Flaws in research design and analysis, abuse of academic credibility, and structural pressures towards producing research for career management purposes rather than for satisfying curiosity or meeting societal needs may lead in this direction. However, the next section argues that the normal outcome is rather that entrepreneurship research does 'Some good' for business and policy practice. Through various roots scholarly knowledge does reach practitioners, and by making abstracted sense of successful entrepreneurship practice, scholars in entrepreneurship can speed up the diffusion of good ideas within a domain and inspire entrepreneurial endeavors in other domains. In the final section examples are given that entrepreneurship research sometimes can make 'All the difference in the world'. 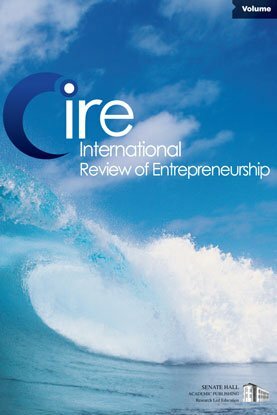 It is argued that the potential for making really important contributions increases if the scope of entrepreneurship research is broadened from a narrow focus on current best practice, towards developing an ability to understand the entrepreneurial implications of technological, cultural, socio-economic, demographic and institutional changes.